It’s been twelve years since the release of her debut album, Alabama Song, which included the Oscar® nominated track, “A Soft Place To Fall,” from the Robert Redford film, The Horse Whisperer. Yet while her songwriting craftsmanship, unaffected lyricism and classic-country integrity garnered no shortage of critical praise, at a time when country music was most equated with the crossover, polished hits of Shania Twain, Moorer sounded about as modern (and, arguably, relevant) as an Alan Lomax field recording. Despite the prevailing values of a record business that too often prizes fleeting style over enduring substance, however, Moorer has produced a superlative body of work. “I spent quite a bit of time writing these,” she says of the songs on her most recent LP, Crows, issued in February. 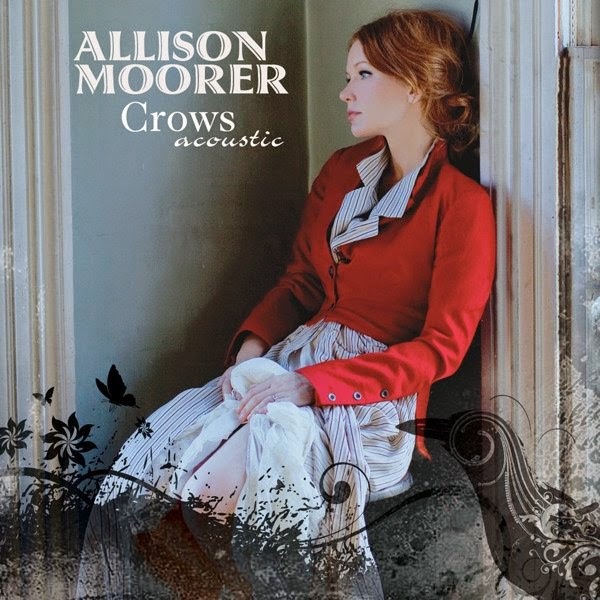 A companion EP, Crows Acoustic, was released digitally last month, featuring six solo Crows performances (most of them played on piano), the consideration and craft with which they were composed evident throughout. Also apparent throughout are moments of nostalgic reflection and, sadly, profound loss—when she was 14, Moorer (as well as older sister, Shelby Lynne) lost both parents when her father shot and killed her mother before turning the gun on himself—that resonate with unflinching honesty and grace. You mentioned that you spent a while working on the songs for Crows. Does it usually take you long to write? I just took my time. When I started writing the songs for this record I didn’t even have a label. So I was just writing because that’s what I do. I knew that I would make a record at some point or another. I probably wrote it over a year, year and a half, something like that. It’s easier for me than it used to be. I used to have to hammer at it more. I think as you grow as an artist, you learn your craft and you get better. At least that’s what I hope to do. Do you ever surprise yourself with what you write? Yeah, I surprised myself on this record. I had never written this much on piano before and I was really happy to get back to it. It’s my first instrument. I took a lot of years of lessons when I was little, but I always played by music. I never really played by ear. [Then] I didn’t play for a long time. And when I had access to a piano again, I started playing by ear. It opened a whole new world for me and it really, really opened up my songwriting. There are just things you can do on piano that you can’t do on guitar. Sometimes your hand won’t make a funny enough shape to get the chord that you want, but on piano you’ve got every note within an octave. So you don’t have to torture yourself. It also creates a whole new sensibility for the listener. A song like “Easy In The Summertime” would sound totally different on guitar. So I was really happy to explore that more than I ever have. I surprised myself a few times, for instance, on “Crows,” because it’s so weird and sort of wacky. It reminds of songs I used to make up as a kid, which I find absolutely joyous and I’m so glad I can still tap into that. The EP version of “Should I Be Concerned," in particular, hits hard. It feels like a case study of depression. But that’s the kind of perspective you have when you’re in that state. It’s that feeling you have when you wake up one morning, you’re having whatever thoughts you’re having and you go, “God, that’s not okay that I’m thinking that. Maybe I ought to talk to somebody.” A lot of people have been there. I certainly have. Plus, musically that’s one of my favorite things I’ve ever written. These songs are so visceral and lyrically powerful. Is it daunting to be that honest as a songwriter? Sometimes it feels like getting naked in front of people you don’t know, but you have to have a bit of an exhibitionist in you to do this for a living, or to do it at all. There has to be some joy that comes from the thrill or rush of being that exposed in front of people. I am quite private so I guess it’s where I get my stuff out. It’s a strange relationship you have with yourself. I certainly don’t want to write songs that don’t have anything to do with who I am. So what are you going to do? If you’re going to write, you've got to write something. And if you want to be honest, you’ve got to be honest. I don’t want to write things that aren’t true to who I am. I may not actually enjoy doing it, but I do it. Sometimes it’s a bloodletting. Is there a payoff for you, though, at some point? Oh sure. If it’s a good song, who cares? It’s worth it. Absolutely. “Goodbye to the Ground” was one that I remember specifically writing the second verse and, not to be a wuss or anything, but bursting into tears because I had a realization about my own shortcomings. It shook me. You’ve got to examine yourself to make art. You have to. It’s sometimes not pretty. And the art that I like isn’t always pretty.